The next time you see a Subaru WRX, Pontiac GTO or Scion FR-S speeding down the highway you should not be too surprised if a police cruiser – its red-and-blue lights flashing and siren blaring – goes zipping past you in pursuit. That’s because the drivers of those vehicles tend to be lead-footed, according to insurance.com, and are among the most likely motorists to have a speeding infraction or other violation on their record. The least lead-footed, ticket-prone Americans by a significant margin include drivers of vehicles such as the Dodge Viper, Land Rover LR4, Chrysler Intrepid, Jaguar XJR and Porsche Cayman. Insurance.com analyzed more than 550,000 car insurance quotes to compile their results, and then ranked 526 vehicles for the percentage of their drivers that had violations – most of which were for speeding, although all types of violations were included in the rankings. “Unlike accident claims, which drive up rates for everyone insuring that particular model of car, tickets jack up the premium for only the driver involved. But those penalties can be huge,” wrote Des Toups in a recent article “The top 10 ticket magnets” for insurance.com. With the Subaru, Pontiac and Scion, there is about a one-third chance their drivers have been ticketed. But they are not the only ones with a worse-than-average records: Drivers of 222 different vehicle models were 20 percent or more likely to have violated a traffic law. Drivers of 304 models were at or below the average of 19.9 percent likelihood of having gotten a ticket. 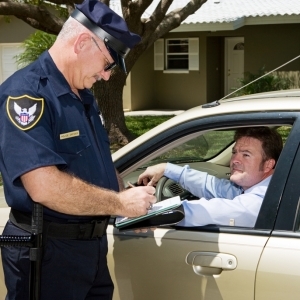 The impact on a driver’s annual insurance rates for a speeding ticket or DUI can be significant. In the case of the Subaru, a driver caught speeding 11 to 15 mph over the legal limit would see his or her annual insurance rates increase around $1,000, while the driver of the Pontiac with a DUI conviction could find his or her annual insurance rates rising almost $4,000, insurance.com found. “Cars don’t get tickets. Drivers do. But speeders tend to prefer many of the same cars,” noted insurance.com. To see the whole top 10 list or cars most likely to be ticketed or to see how drivers of your model rank, visit “Which vehicles get the most traffic tickets?” at insurance.com.